In the film “Chocolat” Juliette Binoche turns a village and its inhabitants upside down with her chocolate creations. And the chocolate river in “Charly and the Chocolate factory”! Who wouldn’t want to row a boat on that river! And a baking blog without a chocolate cake. Unimaginable! Although antidepressant and aphrodisiac properties have been attributed to certain types of chocolates for most people eating chocolate is still simply just about pleasure. Winding down with a good cup of tea and a piece of chocolate cake often makes me feel that maybe things aren’t as bad as they seem after all. But now this small island of refuge has been breached. Cocoa beans have come a long way since The Maya enjoyed their special bitter “hot chocolate” or used cocoa beans as a barter currency. Globalisation and mass production of chocolate products has led to the spread of its popularity. It has changed from a luxury to an affordable product available to nearly everybody. And this change has come with a price. The report “Chocolate’s Dark Secret” published November 2017 by Mighty Earth reveals how chocolate is the driving force behind deforestation in West Africa’s national parks. National parks! Areas with unique flora and fauna are being cut down to make way for our insatiable appetite for chocolate. Forest elephant populations have plummeted to a few 200-400 individuals. 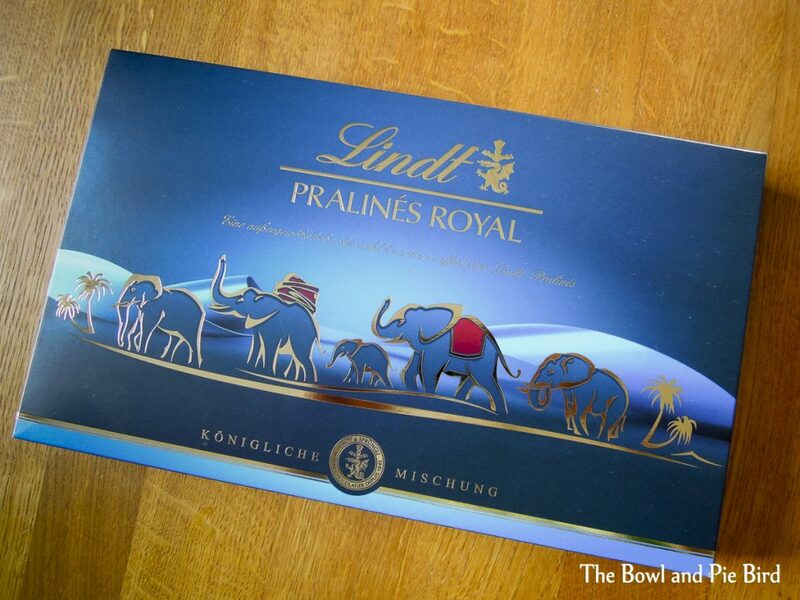 In this context the choice of motive by Swiss chocolate company Lindt, although depicting African elephants, seems inappropriate. An estimated 40% of Ivorian cocoa comes from protected areas. 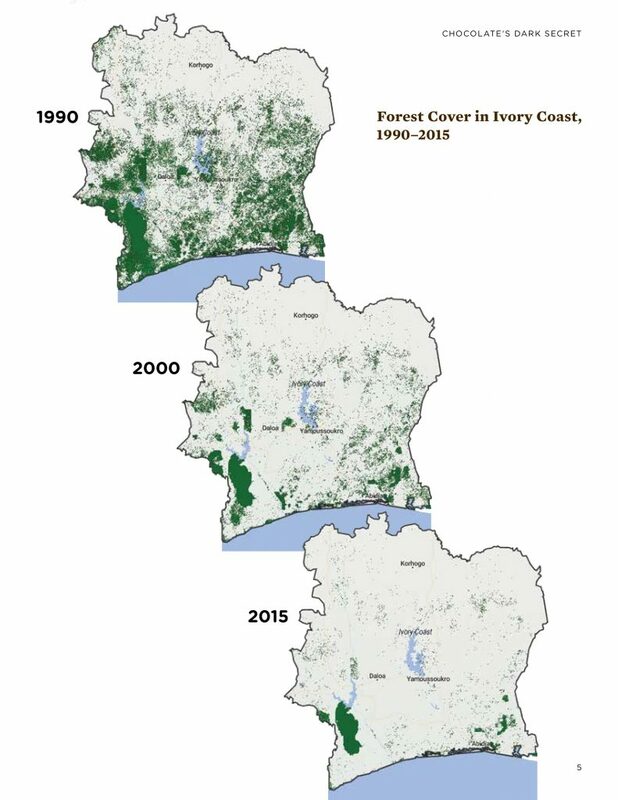 Today only 11% of the Ivory Coast is forested and less than 4% densely forested. If the rate of deforestation continues the Ivory Coast stands to lose all its so-called primary or old-growth forests within the next few decades. The global chocolate market is big business and in 2015 it was estimated at 100 billion US$. We eat 3 million tonnes of chocolate every year. And the market is growing annually by 2-5%. Most cocoa farmers have never tasted the chocolate coming from the cocoa beans they grow as chocolate is too expensive. Their harvests are transported to the ports of San Pedro and Abidjan and are shipped to the big chocolate producers. The big names behind this business are Barry Callebaut, Cargill and Olam. Together they control approximately 50% of the global cocoa trade. You have never heard of them? But you surely know the brands which buy from them: Mondélez, Nestlé, Cadbury, Mars, Godiva, Lindt, Ferrero, Hershey, Magnum to name a few. What shocked me most is that these three major players have known for years that the cocoa they buy is coming from illegal cocoa plantations within protected areas and National Parks. And they have done nothing about it but continued to take advantage of the lack of enforcement and corruption within these countries. Indeed Mighty Earth’s report revealed that throughout the entire supply chain this fact is an open secret. Furthermore, villages with thousands of residents with schools, churches and shops have formed around the plantations inside these precious National Parks. 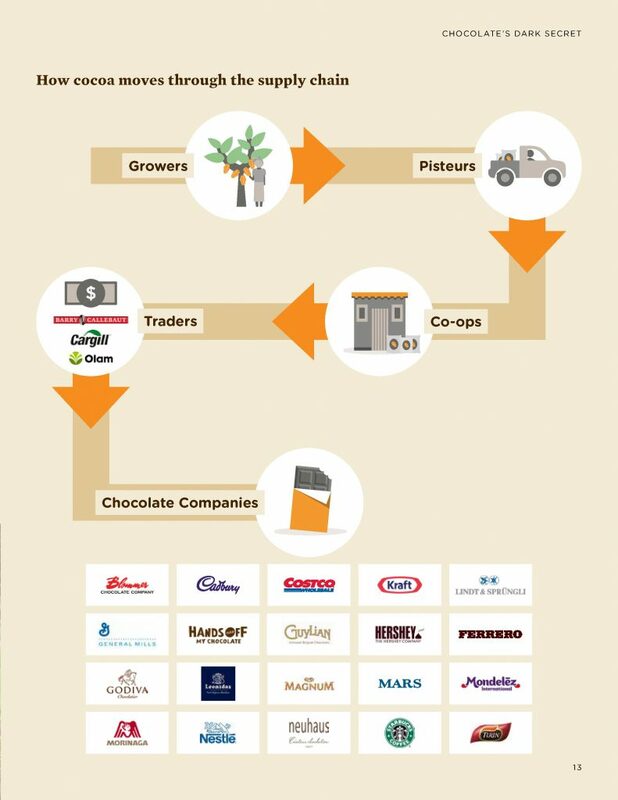 Another sad fact is that the cocoa farmers only see a very small portion of the money earned in this multi-billion dollar business. A farmer on the Ivory Coast earns around 50 US$ cents a day and a farmer in Ghana around 84 US$ cents. Back in the 1980s these farmers received approximately 16% of the value of a chocolate bar. Today this figure has dropped to a meagre 6.6%. And child labour is still prevalent. In fact the report quotes the US Department of Labor who says that “21% more children are illegally labouring on cocoa farms in Ghana and The Ivory Coast than five years ago”. 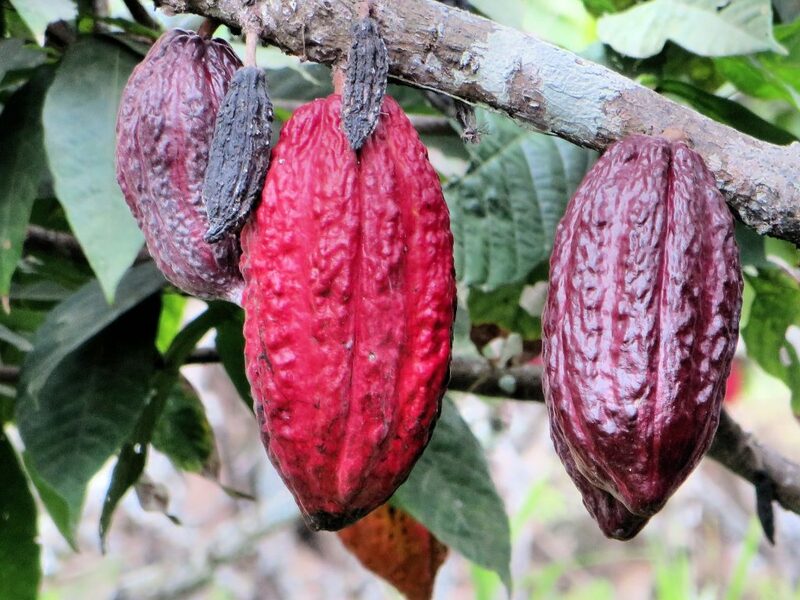 It is promising that after the release of the report the top cocoa-producing countries – the Ivory Coast and Ghana – together with the leading chocolate and cocoa companies announced a far-reaching action plan to stop deforestation, restore deforested areas and help farmers. This action plans also needs to be implemented in Indonesia, infamous for its deforestation for palm oil and paper as cocoa is big business there too. Also the majestic rainforests of the The Congo need protection as cocoa farming increases there as in Peru where the Amazon rainforest is being cut down for plantations. If you’re a chocolate lover, then Mighty Earth’s Report is a definite “must-read”. It ends with set of recommendations to the industry for a “sweeter future” in which we can continue to indulge in chocolate and feel guilty only because of the calories involved and not daunting images of denuded landscapes and homeless wildlife. The announcement by the chocolate industry is of course fantastic and time will tell how fast they put their money where their mouth is. Mighty Earth and other organisation will surely hold them accountable and while they do we as chocolate lovers can get into action too. Get social on social media and write off to your favourite brands pointing out your concerns on the findings of Mighty Earth’s report. Ask them what they are going to do to ensure that they buy from sustainable sources in future. While this might sound a bit rash I have personally chosen to boycott brands such as Nestlé whose influence has spread into innumerable companies making them one of the 10 biggest food companies in the world. Reports from making money from bottling water and leaving local communities with empty wells to promoting their baby milk powder before breastfeeding in developing countries have made me conclude that this just isn’t a brand I wish to support. This chart, however, shows how difficult this can be. For instance, I like The Body Shop but started avoiding them when they were sold to L’Oréal, a vast corporate cosmetic company which in turn is part-owned by Nestlé. Here’s a list of Nestlé’s products and Mars also is a big global player. 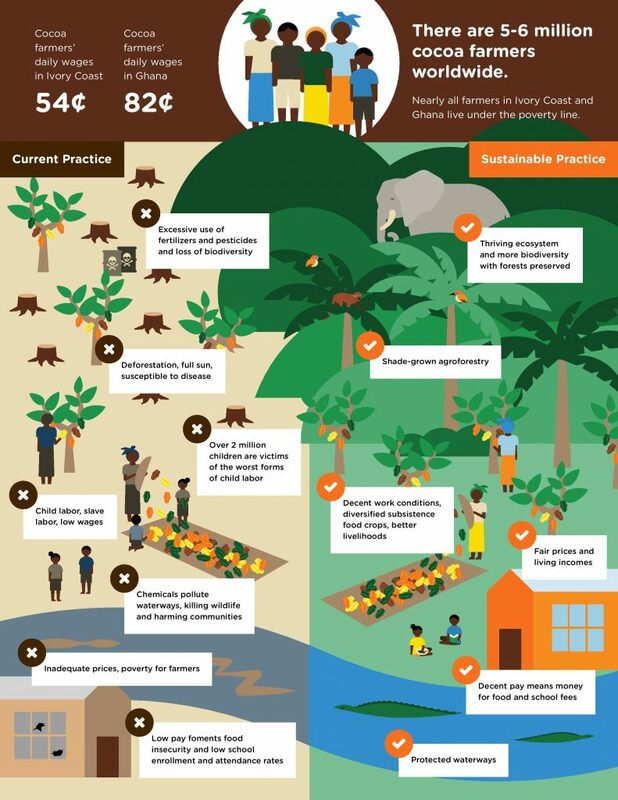 A study by The Bureau for the Appraisal of Social Impacts for Citizen Information (BASIC) mentioned in the report has shown that small-scale sustainability certification programmes haven’t been able to stop the aggressive practices of the big chocolate companies on a national level. But fair trade programmes can make an important impact if some conditions are met as the Peruvian cocoa market has shown. So I feel it is vital to support these initiatives. A well-known name is Fairtrade. The UTZ certification programme has recently joined forces with the Rainforest Alliance to push for more sustainable farming worldwide benefiting farmers and our environment alike. So look out for these labels when shopping. 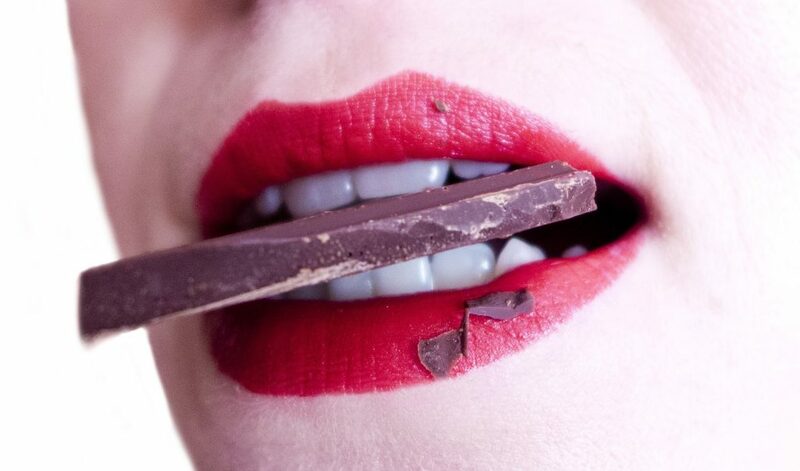 Our taste buds are used to a certain taste and some people just don’t want to change their chocolate habits. But I really recommend you give it a try. There are so many yummy chocolate bars, spreads and other naughties in health shops or organic supermarkets waiting to become your favourite. Booja Booja is a British chocolate brand who creates to-die-for Champagne Truffles or Chocolate Salty Caramel Truffles. And, you’d never guess that their chocolates are actually vegan. All maps/infographics in this post are property of Mighty Earth and were used with their very kind permission. Thank you. This entry was posted in Food for thought and tagged Abholzung, Chocolate, Deforestation, Environment, Schokolade, Umwelt.